We specialise in bringing all returns up- to-date, assisting the client in raising finance and also negotiating payment arrangements with revenue. Sometimes records may have gone missing or have even been destroyed due to fire or flood damage. Often these can be reconstructured by contacting suppliers or clients. The bank is also a good source of information. In some cases records cannot be reconstucted or at best can only partly be so. Often taxpayers are reluctant to approach Revenue in such circumstances. Indeed individuals often procrastinate and effectively fail to submit tax returns at all. In these circumstances taxpayers may end up being prosecuted by Revenue and receiving a substantial court fine. Also the taxpayer, if convicted , will now have a criminal conviction. Moreover the tax return will still have to be submitted certainly with surcharges and possible interest and penalties. 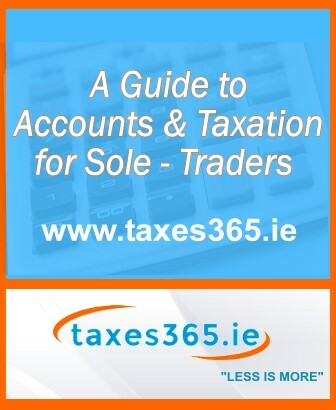 At taxes365.ie, no matter how difficult the problem, can make submissions to Revenue and minimize the taxpayers tax exposure in such circumstances. Every practical problem must have a practical solution. In nearly all circumstances effective communication with Revenue will achieve results. Professionally prepared submissions with appropriate back-up documentation and analysis will result in an effective and relatively speedy response from Revenue. Our objective at all times is to a bring a tax arrears case to a speedy and effective conclusion, avoid court prosecutions and minimize tax and hassle for the taxpayer. Our experience in this area is second to none.